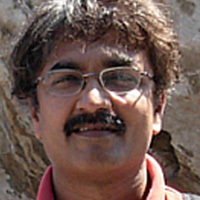 Milind Murugkar is a policy researcher and activist associated with Pragati Abhiyan, an NGO focusing on rural development. He works to build bridges between grassroots citizen groups and farmers affected by economic and trade policies and the political system that makes the policies. His work fosters understanding of economic and trade policies at the grassroots level through press reports, workshops, and focus group discussions. He works to enhance the knowledge base of political decision-makers by sharing his research and results with actors in the political system. He is also involved in the discourse on alternatives for the PDS in India, such as cash transfers. He is widely published in the Marathi language press and also in Hindustan Times and Indian Express. Do the poor need genetically modified crops?